M.E.C.’s R397Q QR Series antenna is a high power broadband conical horn antenna which covers both X and Ku band frequencies. The antenna has a quad-ridge design which is capable of simultaneously supporting dual orthogonal polarizations. It can produce V, H, RHCP, LHCP, and slant-linear polarizations if the antenna is fed by a quad-ridge orthomode feed (RQ Series) with proper amplitudes and phases. 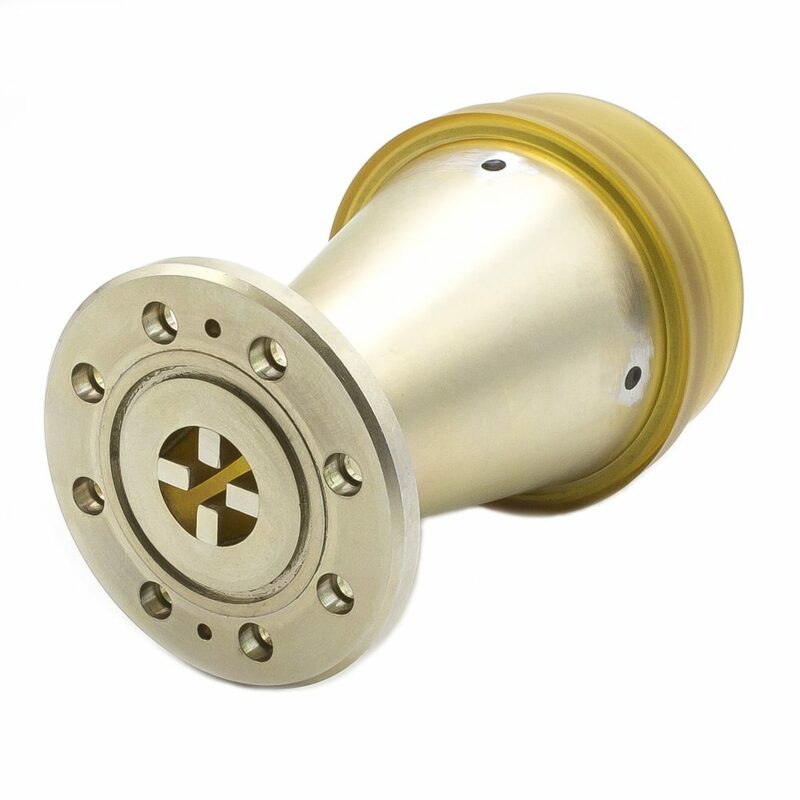 The unit has a pressure sealed protective radome cover and can be pressured to increase power handling capability.